The family of Late Mrs. Mary Ehinlaiye (nee Lawani) has disagreed sharply with Lagos State Police Commissioner Edgal Imohimi on the circumstances surrounding the corpse of the deceased. 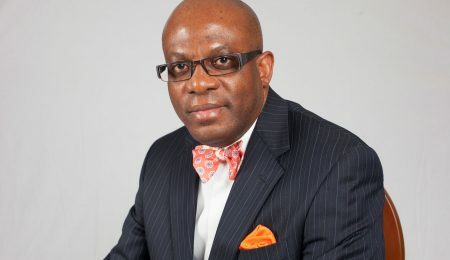 In a statement made available to CITY LAWYER by Fountain Court Partners, the solicitors to Adekunle Ehinlaiye family, the Lagos-based law firm stated that at no time was the body of the 51-year-old woman declared missing, saying the body was however suspected to have been tampered with by ritualists in collaboration with the mortuary attendants. “Death is the last enemy and it shall be destroyed” (1 Corinthians 16:26). We are Solicitors and Spokespersons to the Adekunle Ehinlaiye family and our attention has been drawn to the various publications online and on traditional main stream media. We wish to state categorically that the tragic and unfortunate events of the last several days are indeed mind boggling but then they have not been accurately reported in the media and we wish to set the records straight. For the avoidance of doubt, the body of Mrs. Mary Ehinlaiye (nee Lawani) was never missing, the body was not buried at any point before the 29th of November, 2018 when the corpse was released to the family and was finally laid to rest on the 1st of December, 2018 in her home town in Edo State and the question of exhuming the body therefore cannot and did not arise at any point during the ordeal. Mrs. Mary Ehinlaiye (nee Lawani) died on the 29th day of October 2018 and upon certification of death her remains were deposited at the St. Raphael Divine Mercy specialist Hospital Mortuary in Ijede, Ikorodu, Lagos State by her relatives on the 30th day of October, 2018. The deceased Mrs. Mary Ehinlaiye had never had a major surgery in her life, there were no incisions on her body and it is worthy of note that the mortuary attendants asked these pertinent questions, checked the body and were satisfied before they took in her whole and intact body. 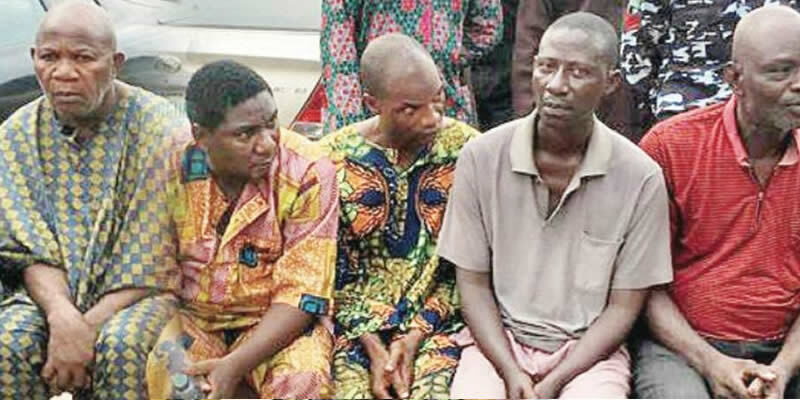 On the 16th day of November, 2018, those same relatives went to the Morgue to retrieve the corpse of the deceased for burial in her ancestral home in Edo State only for the Mortuary attendants on duty to claim that the corpse had been released to some unknown persons who had nothing to do with depositing the body at the morgue in the first place. The relatives who went to the morgue insisted that the corpse could not have been released to some unknown persons as the mortuary attendants claimed. They told them that they are aware and know by standard practice that the corpse could only be released to those who deposited it upon showing the relevant identity card and tag issued to them at the point of depositing the body at the morgue. After an hour and the attendants still could not produce the corpse, the attention of the Reverend father and the Police were called to the scene. When the attendants saw the Reverend father who implored them to tell him the truth as their employer, they changed the story again and then went into a remote part of the mortuary and brought out the corpse. As soon as the corpse was produced, some of the relatives of the deceased became suspicious and insisted that the body be inspected which the attendants resisted. When the body was finally opened and inspected, it was discovered that the body had been tampered with, mutilated and dismembered with her wrists and heart missing. The attendants then confessed and gave valuable information to the Police which led to the arrest of other accomplices who in turn confessed that they were a syndicate and have long been involved in harvesting body parts of corpses brought to the morgue and have engaged in the illicit trade in human parts. 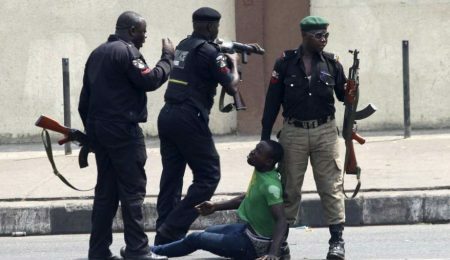 The Police and the relevant authorities of the Church and the Lagos State Government have since swung into action and investigations are still ongoing towards unraveling all the perpetrators of this crime and actual prosecution in due course. The lesson to learn from this however is; it again brings into sharp focus the illicit trade in human parts for ritual purposes and the inability of our Governments both State and Federal to rid the society of this bizarre and barbaric practices. Cultism is rife in this country, ritual forests known and unknown to the authorities dot the entire landscape of the Nigerian nation and innocent citizens continue to suffer for it. Men, Women and Children in their thousands have been murdered and sacrificed by these merchants of death! When will these carnage and gory tales end? No one and no family deserves to go through the anguish and the trauma the husband, the children and indeed all members of the entire Ehinlaiye and the Lawani families have gone through in the last several days. The family now wishes to be left alone to mourn their loved one and come to terms with the reality of their present ethereal circumstances. They also call on the authorities to conclude their investigation and commence the prosecution of the perpetrators so they can begin the process of healing and find some sort of closure to these terrible events. We on behalf of the family thank and appreciate the Police, the Lagos authorities and all well meaning Nigerians who offered support and stood by the family in this critical juncture in their lives. Please direct all further enquiries to the Law firm of Fountain Court Partners, Lagos.